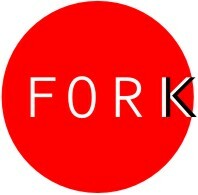 Blunt forks of Molajo, Nooku, Joomla and others, combined with 3rd party libraries and a whole lot of original code. Opensource to the limit. Codevore - feeding on your code and sucking life essence from it. This is a public working prototype that is only rarely updated. Access to newer versions of code is avaliable on request for those interested in improving or using it in your projects. Refactored Joomla caching library with proper mixin implementation (JCache, JCacheController and JCacheStorage) and polymorphic overloading in controllers.